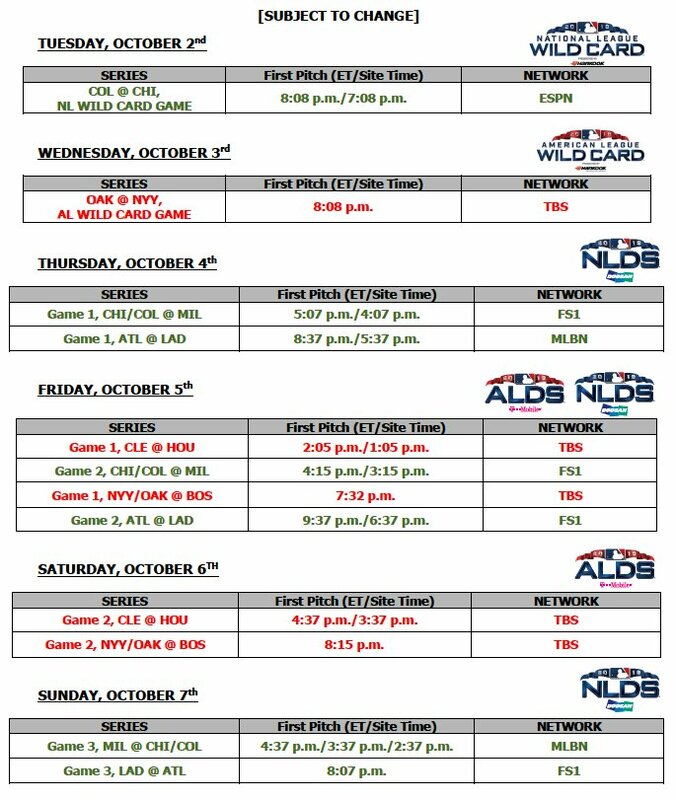 It looks like the Milwaukee Brewers will be hitting the field early and kicking off the National League Division Series with games on Thursday, Oct 4th and Friday, Oct 5th. Both games are scheduled to be played at Miller Park and aired on the FS1 (Fox Sports) Network. Milwaukee beat the Cubs 3-1, claiming their first NL Central title on the record since they won it back in 2011. Go Brewers!